"Sentencing" redirects here. For the TV episode, see Sentencing (The Wire). The term sentence in law refers to punishment that was actually ordered (or could be ordered) by a trial court in a criminal procedure. A sentence forms the final explicit act of a judge-ruled process as well as the symbolic principal act connected to their function. The sentence can generally involve a decree of imprisonment, a fine, and/or other punishments against a defendant convicted of a crime. Those imprisoned for multiple crimes usually serve a concurrent sentence (in which the period of imprisonment equals the length of the longest sentence where the sentences are all served together at the same time), while others serve a consecutive sentence (in which the period of imprisonment equals the sum of all the sentences served sequentially, or one after the next). 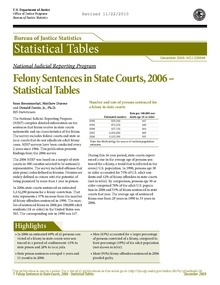 Additional sentences include intermediate, which allows an inmate to be free for about 8 hours a day for work purposes; determinate, which is fixed on a number of days, months, or years; and indeterminate or bifurcated, which mandates the minimum period be served in an institutional setting such as a prison followed by "street time" (i.e., period of parole, supervised release or probation) until the total sentence is completed. If a sentence is reduced to a less harsh punishment, then the sentence is said to have been "mitigated" or "commuted". Rarely (depending on circumstances), murder charges are "mitigated" and reduced to manslaughter charges. However, in certain legal systems, a defendant may be punished beyond the terms of the sentence (e.g., social stigma, loss of governmental benefits, or collectively, the collateral consequences of criminal charges). Statutes generally specify the highest penalties that may be imposed for certain offenses, and sentencing guidelines often mandate the minimum and maximum imprisonment terms to imposed upon an offender, which is then left to the discretion of the trial court. However, in some jurisdictions, prosecutors have great influence over the punishments actually handed down, by virtue of their discretion to decide what offenses to charge the offender with and what facts they will seek to prove or to ask the defendant to stipulate to in a plea agreement. It has been argued that legislators have an incentive to enact tougher sentences than even they would like to see applied to the typical defendant since they recognize that the blame for an inadequate sentencing range to handle a particularly egregious crime would fall upon legislators, but the blame for excessive punishments would fall upon prosecutors. Sentencing law sometimes includes "cliffs" that result in much stiffer penalties when certain facts apply. For instance, an armed career criminal or habitual offender law may subject a defendant to a significant increase in his sentence if he commits a third offence of a certain kind. This makes it difficult for fine gradations in punishments to be achieved. The first use of this word with this meaning was in Roman law, where it indicated the opinion of a jurist on a given question, expressed in written or in oral responsa. It was also the opinion of senators (that was translated into the senatus consultus). It finally was also the decision of the judging organ (both in civil and in penal trials), as well as the decision of the Arbiters (in arbitration). In modern Latin systems the sentence is mainly the final act of any procedure in which a judge, or more generally an organ is called to express his evaluation, therefore it can be issued practically in any field of law requiring a function of evaluation of something by an organ. civil, penal, administrative, canon, ..., sentence. sentences of mere clearance, of condemnation, of constitution. the issuing organ (typically a monocratic judge or a court, or other figures that receive a legitimation by the system). the jurisdiction and the legal competence: single judges, courts, tribunals, appeals, supreme courts, constitutional courts, etc., meant as the various degrees of judgement and appeal. partial, cautelar, interlocutory, preliminar (sententia instructoria), definitive sentences. sententia agendi, sentence that impose a determined action (or a series of action) as a penalty for the illegal act. This kind of sentence became better developed and remained in wider use in common law systems. To the individual - the individual is deterred through fear of further punishment. To the general public - potential offenders warned as to likely punishment. In England and Wales, section 142 of the Criminal Justice Act 2003 has specified that in cases involving those over 18, courts should have regard to "punishment of the offenders" (i.e. retribution), deterrence, reform and rehabilitation, protection of the public, and reparation "to persons affected by their offences". Usually, the sentence comes after a process in which the deciding organ is put in condition to evaluate whether the analysed conduct complies or not with the legal systems, and eventually which aspects of the conduct might regard which laws. Depending on respective systems, the phases that precede the sentence may vary relevantly and the sentence can be resisted (by both parties) up to a given degree of appeal. The sentence issued by the appellate court of highest admitted degree immediately becomes the definitive sentence, as well as the sentence issued in minor degrees that is not resisted by the condemned or by the accusator (or is not resisted within a given time). The sentence usually has to be rendered of public domain (publicatio), and in most systems, it has to be accompanied by the reasons for its content (a sort of story of the juridical reflections and evaluations that the judging organ used to produce it). A sentence (even a definitive one) can be annulled in some given cases, which many systems usually pre-determine. The most frequent case is related to irregularities found ex-post in the procedure. The most éclatant is perhaps in penal cases, when a relevant (often discharging) proof is discovered after the definitive sentence. In most systems, the definitive sentence is unique, in the precise sense that no one can be judged more than once for the same action (apart, obviously, from appeal resistance). Sentences are in many systems a source of law, as an authoritative interpretation of the law in front of concrete cases, thus quite as an extension of the ordinary formal documental system. The sentence is typically determined by a judge and/or jury and issued in the name of (or on the behalf of) the superior authority of the state. ^ a b See, e.g., United States v. Valencia-Mendoza, ___ F.3d ___, ___, No. 17-30158, p.20-21 & n.4 (9th Cir. Jan. 10, 2019) (stating that courts of appeals "have held that, when determining whether a [state] offense is 'punishable' by more than one year in prison, the Supreme Court's recent cases require an examination of the maximum sentence possible under the state's mandatory sentencing guidelines. "); see also Matter of Cota, 23 I&N Dec. 849, 852 (BIA 2005). ^ "Consecutive Sentence". Legal Information Institute (LII). Retrieved 2019-02-01. ^ "973.01 Bifurcated sentence of imprisonment and extended supervision". Wisconsin Legislature. Retrieved 2019-02-01. See also, e.g., State v. Cole, 2003 WI 59 (Wis. 2003); 22 U.S.C. § 2714(e)(4); United States v. Pray, 373 F.3d 358, 361 (3d Cir. 2004) ("In ordinary usage, 'imprisonment' generally means physical confinement. "); Commonwealth v. Conahan, 589 A.2d 1107, 1110 (Pa. 1991) (same). ^ UK Parliament. Criminal Justice Act as amended (see also enacted form), from legislation.gov.uk.